I have worked to make sure that fonts maintained at SMC work with mlym (Pango/Qt4/Windows XP era) opentype specification as well as mlm2 (Harfbuzz/Windows Vista+ era) specification, in the same font. These have also been tested in the past (2016ish) with Adobe softwares which use their own shaping engine (they use neither Harfbuzz nor Uniscribe; but there are plans to use Harfbuzz in the future — the internet tells me). Some time ago, I received reports that typesetting articles in Adobe InDesign using Meera font has some serious issues with Chandrakkala/Halant positioning in combination with conjuncts. When the Savmruthokaram/Chandrakkala ് (U+0D4D) follows a consonant or conjunct, it should be placed at the ‘right shoulder’ of the consonant/conjunct. But in InDesgin (CC 2019), it appears incorrectly on the ‘left shoulder’. 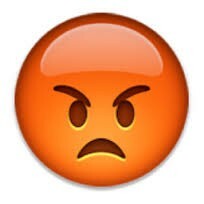 This incorrect rendering is highlighted in figure below. Wrong chandrakkala position before consonant in InDesign. The correct rendering should have Chandrakkala appearing at the right of ത as in figure below. Correct chandrakkala position after consonant. This issue manifested only in Meera, but not in other fonts like Rachana or Uroob. Digging deeper, I found that only Meera has Mark-to-Base positioning GPOS lookup rule for Chandrakkala. This was done (instead of adjusting leftt bearing of the Chandrakkala glyph) to appear correctly on the ‘right shoulder’ of consonant. Unfortunately, InDesign seems to get this wrong. To verify, shaping involving the Dot Reph ൎ (U+0D4E) (which is also opentype engineered as Mark-to-Base GPOS lookup) is checked. And sure enough, InDesign gets it wrong as well. The issue has been worked around by removing the GPOS lookup rules for Chandrakkala and tested with Harfbuzz, Uniscribe and InDesign. I have tagged a new version 7.0.2 of Meera and it is available for download from SMC website. As this issue has affected many users of InDesign, hopefully this update brings much joy to them to use Meera again. Windows/InDesign users make sure that previous versions of the font are uninstalled before installing this version. XlsxWriter is a Python module for creating files in xlsx (MS Excel 2007+) format. It is used by certain python modules some of our customers needed (such as OCA report_xlsx module). 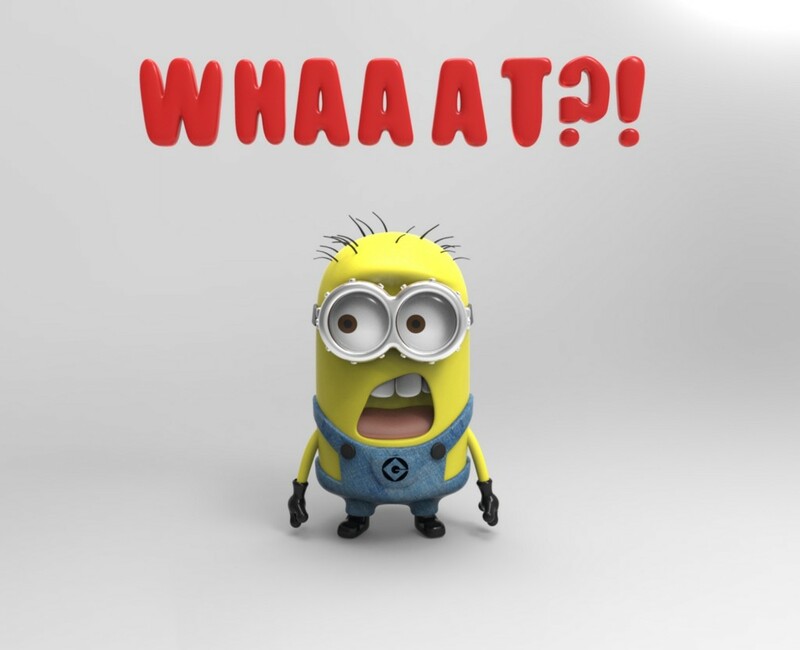 This module is available in pypi but it was not packaged for Fedora. I’ve decided to maintain it in Fedora and created a package review request which is helpfully reviewed by Robert-André Mauchin. The package, providing python3 compatible module, is available for Fedora 28 onwards. DNS over TLS is a security protocol that forces all connections with DNS servers to be made securely using TLS. This effectively keeps ISPs from seeing what website youâ€™re accessing. I happen to edit tabular data in LaTeX format quite a bit. Being scientific documents, the table columns are (almost) always left-aligned, even for numbers. That warrants carefully crafted decimal and digit alignment on such columns containing only numbers. I also happen to edit the text (almost) always in Vim, and just selecting/changing a certain column only is not easily doable (like in a spreadsheet). If there are tens of rows that needs manual digit/decimal align adjustment, it gets even more tedious. There must be another way! Thankfully, smarter people already figured out better ways (h/t MasteringVim). With that neat trick, it is much more palatable to look at the tabular data and edit it. Even then, though, it is not possible to search & replace only within a column using Visual Block selection. The Visual Block (^v) sets mark on the column of first row till the column on last row, so any :<','>s/.../.../g would replace any matching text in-between (including any other columns). Here’s a short video of how to do so. I’d love to hear if there are better ways. Been quite some time since I wrote about anything. This time, it is Debutsav. When it comes to full-fledged FOSS conferences, I usually am an attendee or at most a speaker. I have given some sporadic advices and suggestions to few in the past, but that was it. However, this time I played the role of an organizer. DebUtsav Kochi is the second edition of Debian Utsavam, the celebration of Free Software by Debian community. We didn’t name it MiniDebConf because it was our requirement for the conference to be not just Debian specific, but should include general FOSS topics too. This is specifically because our target audience aren’t yet Debian-aware to have a Debian-only event. So, DebUtsav Kochi had three tracks - one for general FOSS topics, one for Debian talks and one for hands-on workshops. As a disclaimer, the description about the talks below are what I gained from my interaction with the speakers and attendees, since I wasn’t able to attend as many talks as I would’ve liked, since I was busy with the organizing stuff. The event was organized by Free Software Community of India, whom I represented along with Democratic Alliance for Knowledge Freedom (DAKF) and Student Developer Society (SDS). Cochin University of Science and Technology were generous enough to be our venue partners, providing us with necessary infrastructure for conducting the event as well as accommodation for our speakers. The event span across two days, with a registration count around 150 participants. Day 1 started with a keynote session by Aruna Sankaranarayanan, affiliated with OpenStreetMap. She has been also associated with GNOME Project, Wikipedia and Wikimedia Commons as well as was a lead developer of the Chennai Flood Map that was widely used during the floods that struck city of Chennai. Sruthi Chandran, Debian Maintainer from Kerala, gave a brief introduction about the Debian project, its ideologies and philosophies, people behind it, process involved in the development of the operating system etc. An intro about DebUtsav, how it came to be, the planning and organizations process that was involved in conducting the event etc were given by SDS members. After these common talks, the event was split to two parallel tracks - FOSS and Debian. In the FOSS track, the first talk was by Prasanth Sugathan of Software Freedom Law Centre about the needs of Free Software licenses and ensuring license compliance by projects. Parallely, Raju Devidas discussed about the process behind becoming an official Debian Developer, what does it mean and why it matters to have more and more developers from India etc. After lunch, Ramaseshan S introduced the audience to Project Vidyalaya, a free software solution for educational institutions to manage and maintain their computer labs using FOSS solutions rather than the conventional proprietary solutions. Shirish Agarwal shared general idea about various teams in Debian and how everyone can contribute to these teams based on their interest and ability. Subin S showed introduced some nifty little tools and tricks that make Linux desktop cool, and improve the productivity of users. Vipin George shared about the possibility of using Debian as a forensic workstation, and how it can be made more efficient than the proprietary counterparts. Ompragash V from RedHat talked about using Ansible for automation tasks, its advantages over similar other tools etc. Day 1 ended with Simran Dhamija talking about Apache SQOOP and how it can be used for data transformation and other related usecases. In the afternoon session of Day 1, two workshops were also conducted parallel to the talks. First one was by Amoghavarsha about reverse engineering, followed by an introduction to machine learning using Python by Ditty. We also had an informal discussion with few of the speakers and participants about Free Software Community of India, the services it provide and how to get more people aware of such services and how to get more maintainers for them etc. We also discussed the necessity of self-hosted services, onboarding users smoothly to them and evangelizing these services as alternatives to their proprietary and privacy abusing counterparts etc. Day 2 started with a keynote session by Todd Weaver, founder and CEO of Purism who aims at developing laptops and phones that are privacy focused. Purism also develops PureOS, a Debian Derivative that consists of Free Software only, with further privacy enhancing modifications. In the FOSS track, Biswas T shared his experience in developing keralarescue.in, a website that was heavily used during the Kerala Floods for effective collaboration between authorities, volunteers and public. It was followed by Amoghavarsha’s talk on his journey from Dinkoism to Debian. Abhijit AM of COEP talked about how Free Software may be losing against Open Source and why that may be a problem. Ashish Kurian Thomas shed some knowledge on few *nix tools and tricks that can be a productivity booster for GNU/Linux users. Raju and Shivani introduced Hamara Linux to the audience, along with the development process and the focus of the project. The event ended with a panel discussion on how Debian India should move forward to organize itself properly to conduct more events, spread awareness about Debian and other FOSS projects out there, prepare for a potential DebConf in India in the near future etc. The number of registrations and enthusiasms of the attendees for the event is giving positive signs on the probability of having a proper MiniDebConf in Kerala, followed by a possible DebConf in India, for which we have bid for. Thanks to all the participants and speakers for making the event a success. Thanks to FOSSEE, Hamara Linux and GitLab for being sponsors of the event and thus enabling us to actually do this. And also to all my co-organizers. A very special thanks to Kiran S Kunjumon, who literally did 99% of the work needed for the event to happen (as you may recall, I am good at sitting on a chair and planning, not actually doing anything. :D ). My first attempt to develop a spellchecker for Malayalam was in 2007. I was using hunspell and a word list based approach. It was not successful because of rich morphology of Malayalam. Even though I prepared aÂ manually curated 150K words list, it was nowhere near to cover practically infinite words of Malayalam. For languages with productive morphological processes in compounding and derivation that are capable of generating dictionaries of infinite length, a morphology analysis and generation system is required. Since my efforts towards building such a morphology analyser is progressing well, I am proposing a finite state transducer based spellchecker for Malayalam. In this article, I will first analyse the characteristics of Malayalam spelling mistakes and then explain how an FST can be used to implement the solution. The spellchecker is an application that tells whether the given word is spelled correctly as per the language or not. If the word is not spelled correctly, the spellchecker often gives possible alternatives as suggestion to correct the misspelled word. The word can be spellchecked independently or in the context of a sentence. For example, in the sentence “à´…à´¸àµ�à´¤à´®à´¯à´¸àµ‚à´°àµ�à´¯àµ» à´•à´Ÿà´²à´¯à´¿àµ½ à´®àµ�à´™àµ�à´™à´¿à´¤àµ�à´¤à´¾à´´àµ�à´¨àµ�à´¨àµ�”, the word “à´•à´Ÿà´²à´¯à´¿àµ½” is spelled correctly if considered independently. But in the context of the sentence, it is supposed to be “à´•à´Ÿà´²à´¿àµ½”. Hunspell has a limited compounding support, but limited to two levels. Malayalam can have more than 2 level compounding and sometimes the agglutinated words is also inflected. Hunspell system has an affix dictionary and suffix mapping system. But it is very limited to support complex morphology like Malayalam. With the help of NÃ©meth LÃ¡szlÃ³, Hunspell developer, I had explored this path. But abandoned due to many limitation of Hunspell and lack of programmatic control of the morphological rules. Malayalam uses an alphasyllabary writing system. Each letter you write corresponds to the grapheme representation of a phoneme. In broader sense Malayalam can be considered as a language with one to oneÂ grapheme to phoneme correspondence. Where as in English and similar languages, letters might represent a variety of sounds, or the same sounds can be written in different ways. The way a person learns writing a language strongly depends on the writing system. In Malayalam, since there is one and only one set of characters that can correspond to a syllable, the confusion of letters does not happen. For example, in English, Education, Ship, Machine, Mission all has sh sound [Êƒ]. So a person can mix up these combinations. But in Malayalam, if it is sh sound [Êƒ], then it is always à´·. Because of this, the spelling mistakes that is resulted by four edit operations(deletion, insertion, change, or transposition) may not be an accurate classification of errors in Malayalam.Â Let us try to classify and analyse the spelling mistake patterns of Malayalam. Phonetic approximation: The 1:1 grapheme to phoneme correspondence is the theory. But because of this the inaccurate utterance of syllables will cause incorrect spellings. For example, à´¬àµ‚à´®à´¿ is a relaxed way of reading for à´­àµ‚à´®à´¿ since it is relatively effortless. Since the relaxed way of pronunciation is normal, sometimes people think that they are writing in wrong way and will try to correct it unnecessarily à´ªàµ€à´¢à´¨à´‚->à´ªàµ€à´¡à´¨à´‚ is one such example. Aspirated and Unaspirated mix-up: Aspirated consonant can be mistakenly written asÂ Unaspirated consonant. For Example, à´§ -> à´¦, à´¢ -> à´¡ . Similarly Unaspirated consonant can be mistakenly written as aspirated consonant – Example, à´¦ ->à´§, à´¡ ->à´¢. Voiced and Voiceless mix-up. Voiced consonants like à´—, à´˜ can be mistakenly written as voiceless forms à´•, à´–. And vice versa. Gemination of consonants is often relaxed or skipped in the speech, hence it appear in writing too. Gemination in Malayalam script is by combining two consonants using virama. à´¨àµ€à´²à´¤à´¾à´®à´°/à´¨àµ€à´²à´¤àµ�à´¤à´¾à´®à´° is an example for this kind of mistakes. There are a few debatable words too, like à´¸àµ�à´µàµ¼à´£à´‚/à´¸àµ�à´µàµ¼à´£àµ�à´£à´‚, à´ªà´¾àµ¼à´Ÿà´¿/à´ªà´¾àµ¼à´Ÿàµ�à´Ÿà´¿. Another way of consonant stress indication is by using Unaspirated Consonant + Virama + Aspirated Consonant. à´…à´¦àµ�à´§àµ�à´¯à´¾à´ªà´•àµ»/à´…à´§àµ�à´¯à´¾à´ªà´•àµ», à´¤àµ€àµ¼à´¥à´‚/à´¤àµ€àµ¼à´¤àµ�à´¥à´‚, à´µà´¿à´¡àµ�à´¡à´¿/à´µà´¿à´¡àµ�à´¢à´¿ pairs are examples. Each vowel in Malayalam can be a short vowel or long vowel. Local dialect can confuse people to use one for the other. à´šà´¿à´²à´ªàµ�à´ªàµŠàµ¾/à´šà´¿à´²à´ªàµ�à´ªàµ‹àµ¾ is one example. Since many input tools place the short and long vowels forms with very close keystrokes, it is possible to cause errors. In Inscript keyboard, short and long vowels are in normal and shift position. In transliteration based input methods, long vowel is often typed by repeated keys(i, ii for à´¿, àµ€). Â The vowel à´‹ is close to à´±à´¿ or à´±àµ� in pronunciation. Example: à´‹à´¤àµ�/à´±à´¿à´¤àµ�. The vowel sign of à´‹ while appearing with a consonant is close to àµ�à´°. Example à´—àµƒà´¹à´‚/à´—àµ�à´°à´¹à´‚. à´¹àµƒà´¦à´¯à´‚/à´¹àµ�à´°àµ�à´¦à´¯à´‚. Gliding vowels à´�, à´” get confused with its constituent vowels. à´•àµˆ/à´•à´‡/à´•à´¯àµ�, à´”/à´…à´‰/à´…à´µàµ� are example. In Malayalam, there is a tendency to use à´� instead of à´‡, since the reduced effort. Examples: à´šà´¿à´²à´µàµ�/à´šàµ†à´²à´µàµ�, à´‡à´²/à´�à´², à´¤à´¿à´°à´¯àµ�à´•/à´¤àµ†à´°à´¯àµ�à´•. Due to wide usage of these variants, it is sometimes very difficult to say one word is wrong. See the discussion about the ‘Standard Malayalam’ at the end of this essay. Chillus: Chillus are pure consonants. A consonant + virama sequence sometimes has no phonetic difference from a chillu. For example, à´•à´²àµ�à´ªà´¨/à´•àµ½à´ªà´¨, à´¨à´¿àµ½à´•àµ�à´•àµ�à´•/à´¨à´¿à´²àµ�à´•àµ�à´•àµ�à´• combinations. The chillu àµ¼ is sometimes confused with à´‹ sign. Examples are: à´ªàµ�à´°à´µàµ¼à´¤àµ�à´¤à´¿/à´ªàµ�à´°à´µàµƒà´¤àµ�à´¤à´¿. The chillu form of à´® – à´‚ can appear are as anuswara or ma+virama forms. Examples: à´ªà´‚à´ª, à´ªà´®àµ�à´ª. But it is not rare to see à´ªà´‚à´®àµ�à´ª for this. Sometimes, the anuswara get confused with à´¨àµ�, and à´ªà´®àµ�à´ª becomes à´ªà´¨àµ�à´ª. There were a few buggy fonts that used à´¨àµ�+à´ª for à´®àµ�à´ª ligature too. à´¹àµ�à´®/ à´®àµ�à´® as in à´¬àµ�à´°à´¹àµ�à´®à´‚/à´¬àµ�à´°à´®àµ�à´®à´‚, à´¨àµ�à´¦/à´¨àµ�à´¨ as in à´¨à´¨àµ�à´¦à´¿/à´¨à´¨àµ�à´¨à´¿, à´¹àµ�à´¨/à´¨àµ�à´¨Â as in à´šà´¿à´¹àµ�à´¨à´‚/à´šà´¿à´¨àµ�à´¨à´‚ are some examples where what you pronounce is not exactly same as what you write. àµƒ, àµ�à´¯ often get confused. à´œàµ�à´�, à´�àµ�à´œ is one very common sequence where people are confused. à´†à´¦à´°à´¾à´œàµ�à´�à´²à´¿/à´†à´¦à´°à´¾à´�àµ�à´œà´²à´¿. 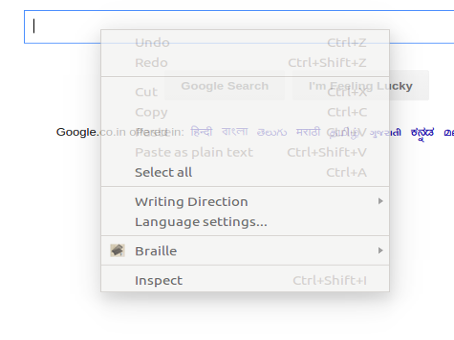 The handwriting based input methods like Google handwriting tool is known for recognizing anuswara à´‚ as zero, English o, O etc. The informal, trial-and-error based Malayalam inputting training also introduced some other mistakes such as using open parenthesis ‘(‘ for àµ�à´°, closing parenthesis ‘)’ for à´¾ sign. Spaces: Malayalam is an agglutinative language. Words can be agglutinated, but nothing prevents people to put space and write in simple words. But this should be done carefully since it can alter the meaning. An example is “à´†à´¨ à´ªàµ�à´±à´¤àµ�à´¤àµ� à´•à´¯à´±à´¿”, à´†à´¨à´ªàµ�à´ªàµ�à´±à´¤àµ�à´¤àµ� à´•à´¯à´±à´¿”, “à´†à´¨à´ªàµ�à´ªàµ�à´±à´¤àµ�à´¤àµ�à´•à´¯à´±à´¿”, “à´†à´¨à´ªàµ�à´ªàµ�à´±à´¤àµ�à´¤àµ� à´•à´¯à´±à´¿”. Another example: “à´®à´²à´¯à´¾à´³ à´­à´¾à´·”, “à´®à´²à´¯à´¾à´³à´­à´¾à´·” – Here, there is no valid word “à´®à´²à´¯à´¾à´³”. The anuswara at the end get deleted only when it joins with à´­à´¾à´· as adjective. A morphology analyser can correctly parse “à´®à´²à´¯à´¾à´³à´­à´¾à´·” as à´®à´²à´¯à´¾à´³à´‚<proper-noun><adjective>à´­à´¾à´·<noun>. But since language already broke this rule and many people are liberally using space, a spellchecker would need to handle this cases. Slip of Finger: Accidental insertions or omissions of key presses is the common reason for spelling mistakes. For alphabetic language, mostly this type of errors are addressed. For Malayalam also, this type of accidental slip of finger can happen. For Latin based languages,Â we can make some analysis since we know a QWERTY keyboard layout and do optimized checks for this kind of issues. Since Malayalam will use another level of mapping on top of QWERTY for inputting(inscript, phonetic, transliteration), it is not easy to analyse this errors. So, in general, we can expect random characters or omission of some characters in the query word. An accidental space insertion has the challenge that it will split the word to two words and if the spellchecking is done by one word at a time, we will miss it. I must add that the above classification is not based on a systematic study of any test data that I can share. Ideally, this classification should done with real sample of Malayalam written on paper and computer. It should be then manually checked for spelling mistakes, list down the mistakes and analyse the patterns. This exercise would be very beneficial for spellcheck research. In my case, even since I released my word list based spellchecker, noticing spelling errors in internet(social media, mainly) has been my obsession. Sometimes I also tried to point out spelling mistakes to authors and that did not give much pleasant experience to meÂ . The above list is based on my observation from such patterns. One thing I observed from the above approach is, in reality the candidate words after all the above steps for Malayalam is most of the time one or two. This make step 3 less relevant. At the same time, an edit distance based approach would have generated more than 5 candidate words for each misspelled word. The candidates from the edit distance based suggestion mechanism would be very diverse, meaning, they won’t have be related to the indented word at all.Â The following images illustrates the difference. How do you determine which is the “correct” or “standard” way of writing a word? Malayalam has lot of orthographic variants for words which were introduced to language as genuine mistakes that later became common words(à´°à´¾à´ªàµ�à´ªà´•àµ½/à´°à´¾à´ªà´•àµ½, à´šà´¿à´²à´µàµ�/à´šàµ†à´²à´µàµ�), phonetic simplification(à´…à´¦àµ�à´§àµ�à´¯à´¾à´ªà´•àµ»/à´…à´§àµ�à´¯à´¾à´ªà´•àµ», à´¸àµ�à´µàµ¼à´£àµ�à´£à´‚/à´¸àµ�à´µàµ¼à´£à´‚), or old spelling(à´•àµ¼à´¤àµ�à´¤à´¾à´µàµ�/à´•àµ�à´¤àµ�à´¤à´¾à´µàµ�àµ�) and so on. A debate about the correctness of these words will hardly reach conclusion. For our case, this is more of an issue of selecting words in the lexicon. Which one to include, which one to exclude? It is easy to consider these debates as blocker for the progress of the project and give up: “well, these things are not decided by academics so far, so we cannot do anything about it till they make up their mind”. The common Malayalam spelling mistakes and confusables were presented in great depth by Renowned linguist and author Panmana Ramachandran Nair in his booksÂ â€˜à´¤àµ†à´±àµ�à´±à´¿à´²àµ�à´²à´¾à´¤àµ�à´¤ à´®à´²à´¯à´¾à´³à´‚â€™, â€˜à´¤àµ†à´±àµ�à´±àµ�à´‚ à´¶à´°à´¿à´¯àµ�à´‚â€™, â€˜à´¶àµ�à´¦àµ�à´§ à´®à´²à´¯à´¾à´³à´‚â€™ and â€˜à´¨à´²àµ�à´² à´®à´²à´¯à´¾à´³à´‚â€™. Â Improving Finite-State Spell-Checker Suggestions with Part of Speech N-Grams Tommi A Pirinen and Miikka Silfverberg and Krister LindÃ©n [pdf] – This paper discuss the context sensitive spellchecker approach. For the last several months, I am actively working on the Malayalam morphology analyser project. In case you are not familiar with the project, my introduction blog post is a good start. I was always skeptical about the approach and the whole project as such looked very ambitious. But, now I am almost confident that the approach is viable. I am making good progress in the project, so this is some updates on that. Recently I added a large corpora to frequently monitor the percentage of words the analyser can parse. The corpora was selected from two large chapters of ഐതിഹ്യമാല, some news reports, an art related essay, my own technical blog posts to have some diversity in the vocabulary. This is a very encouraging. Achieving a 66% for such a morphologically rich language Malayalam is no small task. From my reading, Turkish and Finnish, languages with same complexity of morphology achieved about 90% coverage. It may be more difficult to increase the coverage for me compared to achieving this much so far. So I am planning some frequency analysis on words that are not parsed by analyser, and find some patterns to improve. The performance aspect is also notable. Once the automata is loaded to memory, the analysis or generation is super fast. 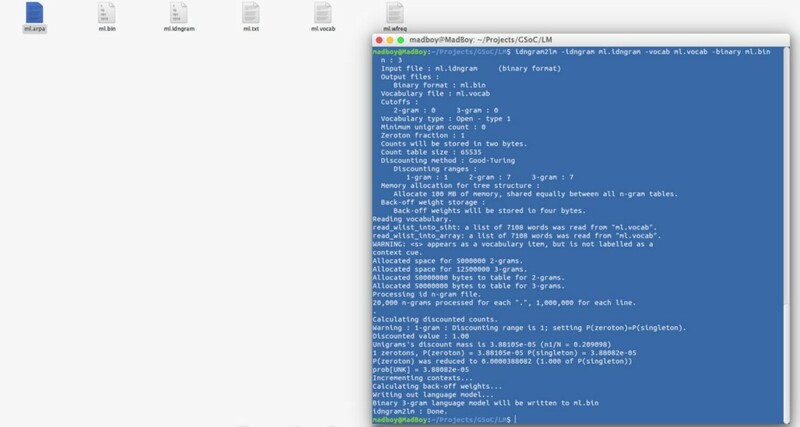 You can see that ~16000 words were analyzed under half of a second. The compiled transducer now is 6.2 MB. The transducer is written in SFST-PL and compile using SFST. It used to be compiled using hfst, but hfst is now severely broken for SFST-PL compilation, so I switched to SFST. But the compiled transducer is read using hfst python binding. As you can see, the lexicon is not that big. Especially it is very limited for proper nouns like names, places. I think the verb lexicon is much better. I need to find a way to expand this further. There is no agreement or standard on the POS tagging schema to be used for Malayalam. But I refused to set this is as a blocker for the project. I defined my own POS tagging schema and worked on the analyser. The general disagreement is about naming, which is very trivial to fix using a tag name mapper. The other issue is classification of features, which I found that there no elaborate schema that can cover Malayalam. The main challenge I am facing is not technical, it is linguistic. I am often challenged by my limited understanding of Malayalam grammar. Especially about the grammatical classifications, I find it very difficult to come up with an agreement after reading several grammar books. These books were written in a span of 100 years and I miss a common thread in the approach for Malayalam grammar analysis. Sometimes a logical classification is not the purpose of the author too. Thankfully, I am getting some help from Malayalam professors whenever I am stuck. The other challenge is I hardly got any contributor to the project except some bug reporting. There is a big entry barrier to this kind of projects. The SFST-PL is not something everybody familiar with. I need to write some simple examples for others to practice and join. I found that some practical applications on top of the morphology analyser is attracting more people. For example, the number spellout application I wrote caught the attention of many people. I am excited to present the upcoming spellchecker that I was working recently. I will write about the theory of that soon. 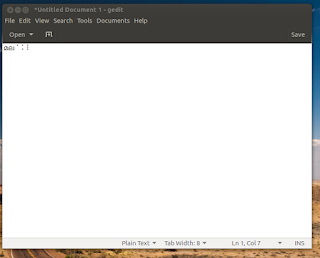 Now a days GNU/Linux distributions like Ubuntu, Debian, Fedora etc comes with pre-configured fonts for Malayalam. For Sans-serif family, it is Meera andÂ for serif, it is Rachana. 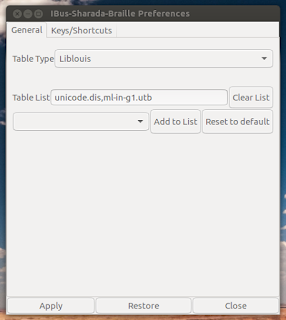 If you like to change these fonts, there is no easy way to do with configuration tools in Gnome or KDE. 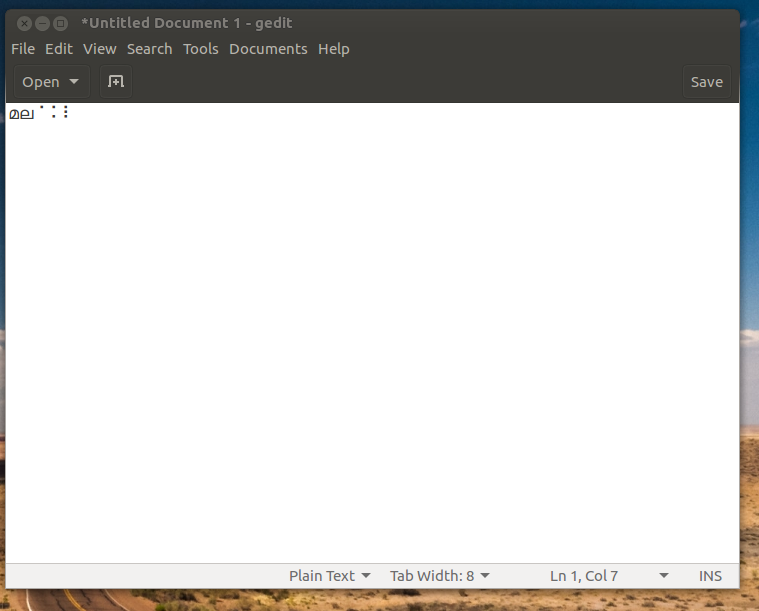 They provide a general font selector for the whole desktop, but not for a given language. First, create a file named ~/.config/fontconfig/conf.d/50-my-malayalam.conf. If the folders for this file does not exist, just create them. To this file, add the following content. It should list Manjari. The above code we added to the file is not complicated. You can see that we are setting the sans-serif font preference for ml(Malayalam) language as Manjari. Also serif font preference as Rachana. You are free to change the fonts to whatever you prefer. Note that you may want to close and open your applications to get this preference applied. You may choose one of the fonts available at smc.org.in/fonts, download and install and use the above configuration with it. നമ്മുടെ നാട്ടിലെ യുവാക്കൾ നേരിടുന്ന ഒരു പ്രതിസന്ധിയെപ്പറ്റിയും അതിന് പരിഹാരമായേക്കാവുന്ന ഒരാശയത്തെപ്പറ്റിയും എഴുതിയ ഒരു കുറിപ്പാണിതു്. നമ്മുടെ നാട്ടിൽ സവിശേഷ നൈപുണികൾ ആവശ്യമുള്ള പലതരത്തിലുള്ള കൂലിപ്പണികൾ, ഡ്രൈവിങ്ങ്, കൃഷിപ്പണികൾ, പെയിന്റിങ്ങ്, കെട്ടിടനിർമാണം, മെക്കാനിക് തുടങ്ങിയ ജോലികളിൽ ഏർപ്പെടുന്ന യുവാക്കൾ ധാരാളമുണ്ട്. ഇവരെല്ലാം മിക്കപ്പൊഴും അസംഘടിത മേഖലയിലാണുതാനും. സർക്കാർ, സ്വകാര്യ ജോലി നേടാത്തതോ നേടാനാവശ്യമായ വിദ്യാഭ്യാസമില്ലാത്തവരോ ആയ യുവാക്കളായ പുരുഷന്മാരാണ് ഇവയിലധികവും. പക്ഷേ യുവതികൾ വിദ്യാഭ്യാസം പരമാവധി വിവാഹം വരെ തുടർന്ന് പിന്നീട് കുടുംബജീവിതത്തിൽ എത്തിച്ചേരുകയാണ്. ഇരുപതിനും മുപ്പത്തഞ്ചിനും ഇടക്ക് പ്രായമുള്ള ഇവർ പുതിയൊരു വെല്ലുവിളി നേരിടുന്നുണ്ട്. അതിനെപ്പറ്റി വിശദമായ ഒരു പഠനറിപ്പോർട്ട് ഈയിടെ സമകാലിക മലയാളം വാരിക പ്രസിദ്ധീകരിച്ചിരുന്നു(നിത്യഹരിത വരൻമാർ-രേഖാചന്ദ്ര, സമകാലിക മലയാളം ജൂലൈ 16). മലബാർ മേഖലയിൽ വ്യാപകമായി ഈ തരത്തിലുള്ള യുവാക്കൾ അവിവാഹിതരായിത്തുടരുന്നു എന്നതാണ് പഠനം. കായികാദ്ധ്വാനത്തോടുള്ള വിമുഖത വളർന്നുവരാൻ മേൽപ്പറഞ്ഞ പ്രശ്നം കാരണമാകുന്നുണ്ട്. സോഷ്യൽ സ്റ്റാറ്റസ് എന്ന ഈഗോ പതിയെ മേൽപ്പറഞ്ഞ സുപ്രധാന ജോലികളിലേക്ക് ആളെകിട്ടാനില്ലാത്ത പ്രശ്നത്തിലേക്കും എത്തിക്കുന്നുണ്ട്. സമൂഹത്തിലെ പൊതുവെയുള്ള വിദ്യാഭ്യാസനിലവാരം കൂടിവരുന്തോറും ഈ ഈഗോ വല്ലാതെ വർദ്ധിക്കുകയും ചെയ്യും. പതിയെപ്പതിയെ അനാരോഗ്യകരമായ ഒരു സാമൂഹികവ്യവസ്ഥ ഇതിൽനിന്നും ഉടലെടുക്കുമെന്ന് ഞാൻ ഭയക്കുന്നു. യുവതികൾ പ്രത്യേകിച്ചും കുടുംബങ്ങളിൽ നിന്നുള്ള സമ്മർദ്ദം കാരണം ജോലിസാധ്യതകളുടെ വളരെ ഇടുങ്ങിയ ഒരു സെലക്ഷൻ സ്പേസിലേക്ക് പോകുന്നുണ്ട്. അവർക്ക് മേൽപ്പറഞ്ഞ ജോലികളിലേക്ക് പോകാൻ നമ്മുടെ സാമൂഹികാവസ്ഥ സമ്മതിക്കാത്ത സ്ഥിതിയാണ് വരുന്നത്. ഇവിടെയാണ് അതിഥിത്തൊഴിലാളികൾ അവസരങ്ങൾ കണ്ടെത്തിയത്. സാമൂഹികരംഗത്ത് മതേതര പൊതുവേദികൾ കുറഞ്ഞ നമ്മുടെ സമൂഹത്തിൽ ഈ യുവശക്തി രാഷ്ട്രീയപരമായി പ്രബുദ്ധരായിരിക്കുക എന്ന വെല്ലുവിളി കൂടുതലാവുന്നുമുണ്ട്. അരാഷ്ട്രീയത ഒരു ഡിഫോൾട്ട് ചോയ്സ് ആയി യുവാക്കൾക്കിടയിൽ വരാനുള്ള സാധ്യത എന്തുകൊണ്ടും പ്രതിരോധിച്ചേ മതിയാകൂ. കായികാദ്ധ്വാനമുള്ളതോ അല്ലാത്തതോ ആയ എല്ലാത്തരം അസംഘടിത ജോലികൾക്കും സാമൂഹികാംഗീകാരം വളർത്തിയെടുക്കുക. യുവാക്കളുടെ മാനവവിഭവശേഷി മിഥ്യാധാരണകളിലൂടെയും സാമൂഹികമായ കെട്ടുപാടുകളിലും തളയ്ക്കാതിരിക്കുക. ഇത്തരം ജോലിക്കാരെ സംഘടിതമേഖലയിലേക്ക് കൊണ്ടുവന്ന് രാഷ്ട്രീയമായി പ്രബുദ്ധരാക്കുക. മതേതര ഇടങ്ങൾ സംഘടിപ്പിക്കുക. തൊഴിൽ പരിശീലനങ്ങളും, ഉള്ള തൊഴിലുകളിൽ ആരോഗ്യകരമായ പരിഷ്കാരങ്ങൾക്ക് പ്രേരണയും പരിഷ്കാരങ്ങളും നൽകുക. തൊഴിലുകൾ ആകർഷണീയമാക്കുക. കുടുംബശ്രീ കൊണ്ടുവന്ന സാമൂഹികചാലകശക്തി യുവാക്കളിലേക്ക് കൂടുതൽ വ്യാപിപ്പിക്കുക. ഇതിലേക്ക് എനിക്ക് നിർദ്ദേശിക്കാനുള്ള ഒരു ആശയം “തൊഴിൽ സൊസൈറ്റികൾ” ആണ്. അതിനെപ്പറ്റിയുള്ള ഏകദേശധാരണ ഇങ്ങനെയാണ്. തൊഴിലാളികളെ ആവശ്യമുള്ളവരും തൊഴിലാളികളും തമ്മിലുള്ള ഒരു മീറ്റിങ്ങ് പോയിങ്ങ് ആയി ഈ സൊസൈറ്റികൾ പ്രവർത്തിക്കുന്നു. യുവാക്കൾ അവിടെ രജിസ്റ്റർ ചെയ്യുന്നു, അവരുടെ കഴിവുകളും. ആർക്കും ഈ സൈസൈറ്റികളിൽ ജോലിക്കാരെ തേടാം. നേരിട്ട് പോയി അന്വേഷിക്കണമെന്നില്ല. അല്പസ്വല്പം ടെക്നോളജിയുടെ സഹായത്തോടെ ഈ കണക്ഷനുകൾ പെട്ടെന്നുണ്ടാക്കാം. മൊത്തത്തിൽ അപ്പോയിന്റ്മെന്റ് സിസ്റ്റം ഒക്കെ വെച്ച് പഴയ ഫ്യൂഡൽ കാലഘട്ടത്തിലെ മുതലാളി-പണിക്കാർ റിലേഷനെ പൊളിച്ചെഴുതലാണ് ഉദ്ദേശം. അതുവഴി ഏത് ജോലിയുടെയും ഉയർച്ച താഴ്ചകളെ പൊളിക്കലും. സൊസൈറ്റികൾക്ക് കൂലിനിരക്കുകൾ നിശ്ചയിക്കാം. തൊഴിൽ അവകാശങ്ങളെപ്പറ്റി ബോധമുള്ളവരായിരിക്കും. നമ്മുടെ നാട്ടിലുമെത്തും. പക്ഷേ, തൊഴിൽദാതാവ്-തൊഴിലാളി ബന്ധത്തിൽനിന്നുള്ള ചൂഷണത്തിനപ്പുറം അവക്ക് ലക്ഷ്യങ്ങളുണ്ടാവില്ല. ആ സ്പേസിലേക്ക് സാമൂഹികരാഷ്ട്രീയ ലക്ഷ്യങ്ങളോടെ നേരത്തെത്തന്നെ കേരളജനത പ്രവേശിക്കണമെന്നാണാഗ്രഹം. This is an attempt to list down all forms of Malayalam word ചിരി(meaning: , smile, laugh). For those who are unfamiliar with Malayalam, the language is a highly inflectional Dravidian language. I am actively working on a morphology analyser(mlmorph) for the language as outlined in one of my previous blogpost. I prepared this list as a test case for mlmorph project to evaluate the grammar rule coverage. So I thought of listing it here as well with brief comments. ചിരി is a noun. So it can have all nominal inflections. A number of agglutinations can happen at the end of the word using Affirmatives, negations, interrogatives etc. For example, ചിരിയുണ്ട്, ചിരിയില്ല, ചിരിയോ. But now I am ignoring all agglutinations and listing only the inflections. ചിരിക്കുക is the verb form of ചിരി. Since it is a noun, all nominal inflections apply. A native Malayalam speaker may point out that the variation fo this word ചിരിയ്ക്കുക -with യ് before ക്കുക. My intention is to support that variation as well. Obviously that word also will have the above listed inflected forms. Now that I wrote this list here, I think having a rough English translation of each items would be cool, but it is too tedious to me. This is a quick tutorial on installing Mozhi input method in Windows 10. Mozhi is a transliteration based keyboard for Malayalam. You can type malayaalam to get മലയാളം for example. We will use Keyman tool as the input tool. Keyman input tool is an opensource input mechanism now developed by SIL. It supports lot of languages and Mozhi malayalam is one of that. Go to https://keyman.com/keyboards/mozhi_malayalam. There you will see the following options to download. Select the first one as shown below. Download the installer to your computer. It is a file about 20MB. Keyman 10 Desktop download page. Click on the Install Keyman Desktop button. You will see the below screen. Keyman 10 Desktop welcome page. Press the “Start keyman” button. The installation will start and keyboard will start. You will see a small icon at the bottom of your screen, near time is displayed. Click on that to choose Mozhi. Once you chose Mozhi, you can type in Manglish anywhere and you will see malayalam. To learn typing click on the “Keyboard Usage” as shown above. I am pleasantly surprised to see that Amazon Kindle now supports installing custom fonts. A big step towards supporting non-latin content in their devices. I can now read Malayalam ebooks in my kindle with my favorite fonts. This feature is introduced in Kindle 5.9.6.1 version released in June 2018. Once updated to that version, all you need is to connect the device using the USB cable to your computer. Copy your fonts to the fonts folder there. Remove the usb cable. You will see the fonts listed in font selector. Kindle had added Malayalam rendering support back in 2016, but the default font provided was one of the worst Malayalam fonts. It had wrong glyphs for certain conjuncts and font had minimal glyphs. So I attended my first international FOSS conference - FOSSAsia 2018 at Lifelong learning institute, Singapore. I presented a talk titled “Omnibus - Serve your dish on all the tables” (slides, video) about the tool Chef Omnibus which I use on a daily basis for my job at GitLab. The conference was a 4-day long one and my main aim was to network with as many people as I can. Well, I planned to attend sessions, but unlike earlier times when I attended all the sessions, these days I am more focussed on certain topics and technologies and tend to attend sessions on those (for example, devops is an area I focuses on, block chain isn’t). One additional task I had was attend the Debian booth at the exhibition from time to time. It was mainly handled by Abhijith (who is a DM). I also met two other Debian Developers there - Andrew Lee(alee) and Héctor Orón Martínez(zumbi). I also met some other wonderful people at FOSSAsia, like Chris Aniszczyk of CNCF, Dr Graham Williams of Microsoft, Frank Karlitschek of NextCloud, Jean-Baptiste Kempf and Remi Denis-Courmont of VideoLan, Stephanie Taylor of Google, Philip Paeps(trouble) of FreeBSD, Harish Pillai of RedHat, Anthony, Christopher Travers, Vasudha Mathur of KDE, Adarsh S of CloudCV (and who is from MEC College, which is quite familiar to me), Tarun Kumar of Melix, Roy Peter of Go-Jek (with whom I am familiar, thanks to the Ruby conferences I attended), Dias Lonappan of Serv and many more. I also met with some whom I know knew only digitally, like Sana Khan who was (yet another, :D) a Debian contributor from COEP. I also met with some friends like Hari, Cherry, Harish and Jackson. PS: Well, I had to cut down quite a lot of my explanation and drop my demo due to limited time. This caused me miss many important topics like omnibus-ctl or cookbooks that we use at GitLab. But, I had a few participants come up and meet me after the talk, with doubts regarding omnibus and its similarity with flatpak, relevance during the times of Docker etc, which was good. It has been long since I have written somewhere. In the last year I attended some events, like FOSSMeet, DeccanRubyConf, GitLab’s summit and didn’t write anything about it. The truth is, I forgot I used to write about all these and never got the motivation to do that. Anyway, last week, I conducted a workshop on Git basics for the students of CUSAT. My real plan, as always, was to do a bit of FOSS evangelism too. Since the timespan of workshop was limited (10:00 to 13:00), I decided to keep everything to bare basics. Started with an introduction to what a VCS is and how it became necessary. As a prerequisite, I talked about FOSS, concept of collaborative development, open source development model etc. It wasn’t easy as my audience were not only CS/IT students, but those from other departments like Photonics, Physics etc. I am not sure if I was able to help them understand the premise clearly. However, then I went on to talk about what Git does and how it helps developers across the world. I wanted to talk about clone, fork, branch and MRs, but time didn’t permit. We wound up the session with Athul and Kiran talking about how they need the students to join the FOSSClub of CUSAT, help organizing similar workshops and how it can help them as well. I too did a bit of “motivational talk” regarding how community activities can help them get a job, based on my personal experience. So finally it’s over. Today is the last date for submission of the GSoC project. This entire ride was a lot informative as well as an experience filled one. I thank Indic Project organisation for accepting my GSoC project and my mentors Navaneeth K N and Jishnu Mohan for helping me out fully throughout this project. this and this is related to adding a new keyboard with “qwerty” layout. this is adding a new SubType value and a method to identify TransliterationEngine enabled keyboards. this is adding the Varnam class and setting the TransliterationEngine. this and this deals with applying the transliteration by Varnam and returning it back to the keyboard. this is the patch to resolve the issue, program crashes on switching keyboards. this makes sure that after each key press, the displayed word is refreshed and the transliteration of the entire word is shown. this makes sure that on pressing deletion, the new word in displayed. this creates a template such that more keyboards can be added easily. this makes sure that the suggestions appearing are directly from the Varnam engine and not from the inbuilt library. The lists of the commits can be seen here which includes the addition of layouts for different keyboards and nit fixes. Now let me outline what we have done during this period. 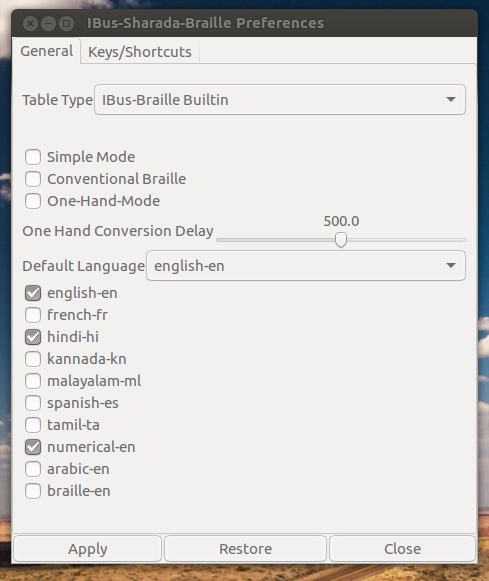 1 IBus-Braille integrated with Liblouis : The Liblouis software suite provides an open-source braille translator, back-translator and formatter for a large number of languages and braille codes. So maintaining and shipping separate braille maps(located at /share/ibus-sharada-braille/braille) with ibus-braille is a bad idea. Through this we completely adopted Ibus-Braille to use Liblouis. The conversion is done in an entire word manner instead of each letter. ie the conversion does after writing direct braille unicode and pressing space. 2 8-Dot braille Enabled : Yes languages having more than 64 characters which can't be handled with 64 (6 dots ) combination are there, Music notations like “Abreu” and LAMBDA (Linear Access to Mathematics for Braille Device and Audio Synthesis) uses 8-dot braille system. unicode support 8-dot braille. 3 Dot 4 issue Solved : In IBus-Braille when we type in bharati braille such as Malayalam, Hindi, etc. we have to use 13-4-13 to get letter ക്ക(Kka). But according to braille standard in order to get EKKA one should press 4-13-13. And this make beginners to do extra learning to start typing. 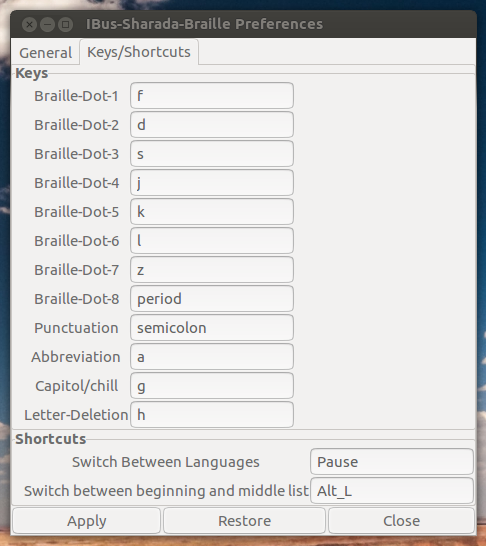 Through this project we solved this issues and a conventional-braille-mode switch is provided in preferences in order to switch between. 4 Add Facility to write direct Braille Unicode : Now one can use IBus-Braille to type braille dot notation directly with the combination. The output may be sent to a braille embosser. Here braille embosser is an impact printer that renders text in braille characters as tactile braille cells. 13 having delay less than delay factor (eg:0.2) will give X. If more, then output would be KK. If one want to type a letter having combination only 4,5,6 he have to press "t" key prior. The key and the Conversion-Delay can be adjusted from preferences. Well, the Google Summer of Code 2016 is reaching its final week as I get ready to submit my work. It has been one of those best three-four months of serious effort and commitment. To be frank, this has to be one of those to which I was fully motivated and have put my 100%. Well, at first, the results of training wasn’t that promising and I was actually let down. But then, me and my mentor had a series of discussions on submitting, during which she suggested me to retrain the model excluding the data set or audio files of those speakers which produced the most errors. So after completing the batch test, I noticed that four of the data set was having the worst accuracy, which was shockingly below 20%. This was causing the overall accuracy to dip from a normal one. Now, this looks juicy and near to perfect. But the thing is, the sentences are tested as they where trained. So, if we change the structure of sentence that we ultimately give to recognize, it will still be having issues putting out the correct hypothesis. Nevertheless, it was far more better than it was when I was using the previous model. So I guess I will settle with this for now as the aim of the GSoC project was to start the project and show proof of that this can be done, but will keep training better ones in the near future. Well, I have been documenting my way through the project over here at Medium starting from the month of May. The blogs can be read from here. What can be done in near future? Well, this model is still in its early stage and is still not the one that can be used error free, let alone be applied on applications. The data set is still buggy and have to improved with better cleaner audio data and a more tuned Language Model. Speech Recognition development is rather slow and is obviously community based. All these are possible with collaborated work towards achieving a user acceptable level of practical accuracy rather than quoting a statistical, theoretical accuracy. All necessary steps and procedure have been documented in the README sections of the repository. 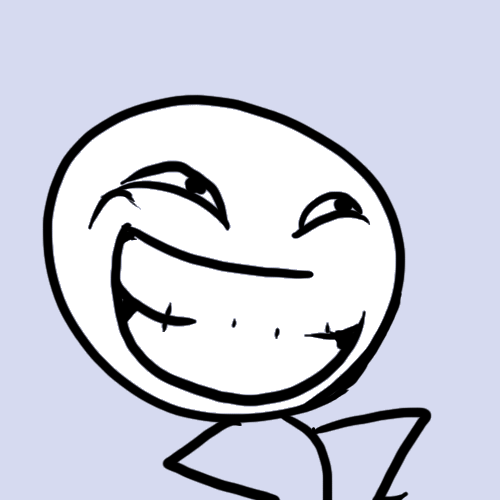 Its almost the end of the GSoC internship. 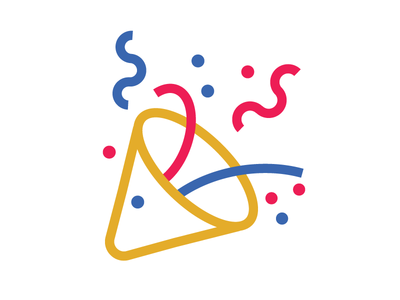 From zero knowledge of Android to writing a proposal, proposal getting selected and finally 3 months working on the projectÂ was a great experience for me! I have learned a lot and I am really thankful to Jishnu Mohan for mentoring throughout . All the tasks mentioned in the proposal were discussed and worked upon. While configuring languages, the user is prompted about the locales that might not be supported by the phone. Overall, it was a wonderful journey and I will always want to be a contributor to the organisation as it introduced me to the world of open source and opened a whole new area to work upon and learn more. General incompleteness of rules - Plurals (പശുക്കൾ), Numerals(പതിനാലാം), Verbs (കാണാം) are missing. The above mentioned issues were fixed. The remaining category is verbs which need more detailed analysis. I too decided to maintain the rule-based approach for lemmatizer (actually, what we are designing is half way between a stemmer and lemmatizer. Since it is more inclined towards a lemmatizer, I am going to call it that.) mainly because for implementing any ML or AI techniques, there should be sufficient training data, without which the efficiency will be very poor. It felt better to gain higher efficiency with available rules than to try out ML techniques with no guarantee (Known devil is better logic). The basic logic behind the multi-level inflection handling lemmatizer is iterative suffix stripping. At each iteration, a suffix is identified from the word and it is transformed to something else based on predefined rules. When no more suffixes are found that have a match on the rule set, we assume the multiple levels of inflection have been handled. To handle root words that look like inflected words (hereafter called ‘exceptional words’) from being stemmed unnecessarily, it is obvious we have to use a root word corpus. I used the Datuk dataset that is made available openly by Kailash as the root word corpus. A corpus comparison was performed before the iterative suffix stripping started, so as to handle root words without any inflection. Thus, the word ആപത്ത് will get handled even before the iteration begins. However, what if the input word is an inflected form of an exceptional word, like ആപത്തിലേക്ക്? This makes it necessary to introduce the corpus comparison step after each iteration. At each iteration, suffix stripping happens from left to right. Initial suffix has 2nd character as the starting point and last character as end point. At each inner iteration, the starting point moves rightwards, thus making the suffix shorter and shorter. Whenever a suffix is obtained that has a transformation rule defined in the rule set, it is replaced with the corresponding transformation. This continues until the suffix becomes null. Multi-level inflection is handled on the logic that each match in rule set induces a hope that there is one more inflection present. So, before each iteration, a flag is set to False. Whenever a match in ruleset occurs at that iteration, it is set to true. If at the end of an iteration, the flag is true, the loop repeats. Else, we assume all inflections have been handled. Since this lemmatizer is also used along with a spellchecker, we will need a history of the inflections identified so that the lemmatization process can be reversed. For this purpose, I tagged the rules unambiguously. Each time an inflection is identified, that is the extracted suffix finds a match in the rule set, in addition to the transformation, the associated tag is also pushed to a list. As the result, the stem along with this list of tags is given to the user. This list of tags can be used to reverse the lemmatization process - for which I wrote an inflector function. A demo screencast of the lemmatizer is given below. So, comparing with the existing stemmer algorithm in LibIndic, the one I implemented as part of GSoC shows considerable improvement. Add more rules to increase grammatical coverage. Add more grammatical details - Handling Samvruthokaram etc. 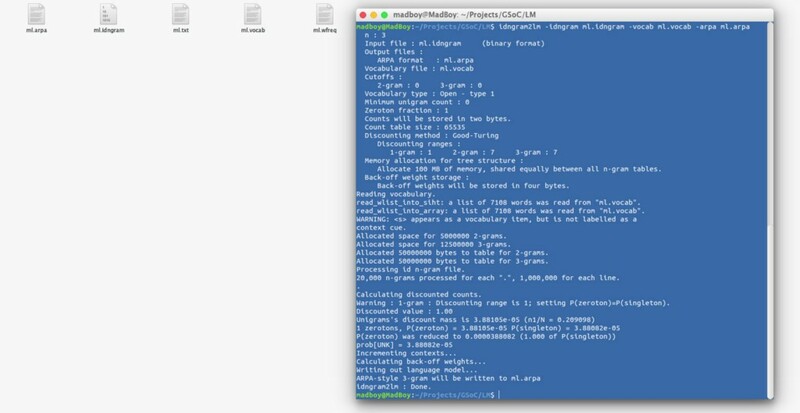 Use this to generate sufficient training data that can be used for a self-learning system implementing ML or AI techniques. It could not handle inflections in an intelligent way. It used a corpus that needed inflections in them for optimal working. It used only levenshtein distance for finding out suggestions. As part of GSoC, I incorporated the lemmatizer developed in phase one to the spell checker, which could handle the inflection part. Three metrics were used to detect suggestion words - Soundex similarity, Levenshtein Distance and Jaccard Index. The inflector module that was developed along with lemmatizer was used to generate suggestions in the same inflected form as that of original word. Malayalam is a phonetic language, where the word is written just like it is pronounced. This is opposite to the case of English, where alphabets have different pronunciations in different words. Example is the English letter “a” which is pronounced differently in “apple” and “ate”. Spelling mistakes in Malayalam, hence, are also phonetic. The mistakes occur by a character with similar pronunciation, usually from the same varga. For example, അദ്ധ്യാപകൻ may be written mistakenly as അദ്യാപകൻ, but not as അച്യാപകൻ. A spelling mistake does not mean a word that is not present in the dictionary. The user has to be considered intelligent and he should be trusted not to make mistakes. A word not present in dictionary can be an intentional modification also. A "mistake" is something which is not in the dictionary AND which is very similar to a valid word. If a word is not found in dictionary and no similar words are found, it has to be considered an intentional change the user induced and hence should be deemed correct. This often solves the issues of foreign words deemed as incorrect. Spelling mistakes in inflected words usually happen at the lemma of the word, not the suffix. This is also because most commonly used suffix parts are pronounced differently and mistakes have a smaller chance to be present there. The first phase, obviously is a corpus comparison to check if the input word is actually a valid word or not. If it is not, suggestions are generated. For this, a range of words have to be selected. From the logic of Malayalam having phonetic spelling mistakes, the words starting with the characters that are linguistic successor and predecessor of the first character of the word is selected. That is, for the input words ബാരതം, which have ബ as first character the words selected will be the ones starting by ഫ and ഭ. Out of these words, the top N (which is defaulted to 5) words have to be found out that are most similar to the input word. To differentiate between spelling “mistakes” and intended modifications, the logic used that if a word did not have N suggestions that have weight > 50, it is most probably an intended word and not a spelling mistake. So, such words were deemed correct. Package names (of the ones I used) were changed to libindic-. Examples would be libindic-stemmer, libindic-ngram and libindic-spellchecker. So, the users will easily understand this package is part of libindic framework, and thus for indic text. Namespace packages (PEP 421) were used, so that import statments of libindic modules will be of the form from libindic.<module> import <language>. So, the visibility of the project ‘libindic’ is increased pretty much. 3 Liblouis integration : I think our dream is about to come true! But still also we are struggling with vowel substitution on the middle. Well, as of now the phoneme transcription was done purely based on the manner the word was written and not completely based on the Speech pattern. What I mean is that there are some exceptions in how we write the word and pronounce it (differently). This was pointed out by Deepa mam. She also asked if I could possibly convert some of the existing Linguistic rules(algorithms) that was made with Malayalam TTS in mind, so that it could be used to re-design the phoneme transcription. This could also turn out to be helpful for future use like using it for a fully intelligent Phoneme Transcriber for Malayalam Language Modeling. This is what we are working on right now, and am literally like scratching my head over some loops in Python! The basic idea is to iterate over each line in the ‘ml.dic’ file and validate the transcription I made earlier with the set of rules. Correcting them (if found invalid) as it goes over. Seems pretty straight forward! Will see how it goes! Wew!, This is going nuts! OK so I first tried using Lists to classify the different types of phones. It all was good, until I reached a point in algorithm where I have to check if the current phoneme in the transcription is a member of a particular class of phoneme ( now, when I say, class of Phoneme, I just mean, the classification and not the class ). Of course I can search in List for the presence of the element and its quite sufficient enough to say in small comparisons. Our case is different. We are talking about around 7000 words in a file, on top of which each line will have significant amount of if-elif clauses. A set object is an un-ordered collection of distinct hashable objects. Common uses include membership testing, removing duplicates from a sequence, and computing mathematical operations such as intersection, union, difference, and symmetric difference. — said the Python doc. This is exactly what I wanted. I mean, I don’t have to do any manipulation to the phoneme classes, so there is no real meaning in using a List. Furthermore, the Set supports the ‘in’ using which the membership can be checked with no additional searching procedure. How cool is that! So, after some test on the script, I generated the dictionary file once again, this time applying some of the TTS rules. Now the SphinxTrain is running with this dictionary file. Hopefully, there should be some change in the accuracy.! This might as well be the last development phase update if all goes well. Then it is submission time. Hi, with this week I where fighting with my final semester exams! and it's over. 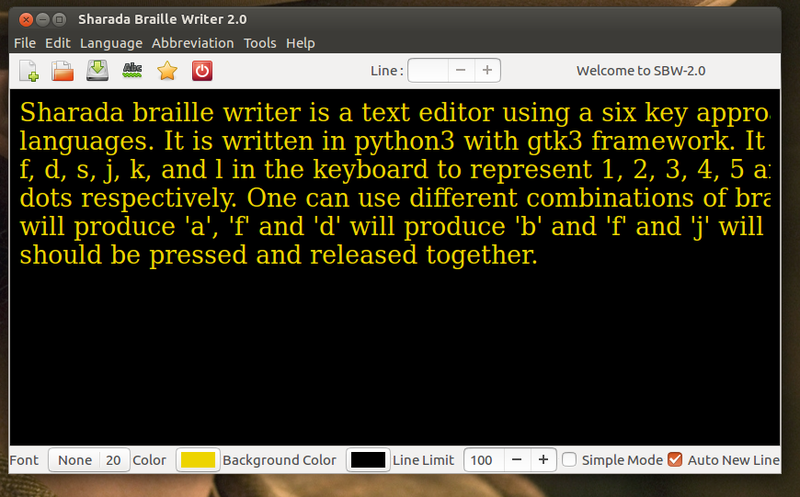 Also within this week I added the facility for typing direct braille Unicode. 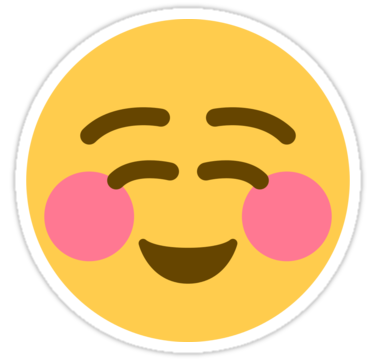 instead of converting to Unicode I added it as a new language so that one can later edit and use. Cmake was giving me some trouble in the beginnning. After clearing all the dependency issues with the Cmake example, I was successfully able to run the endless-tunnel on my phone. 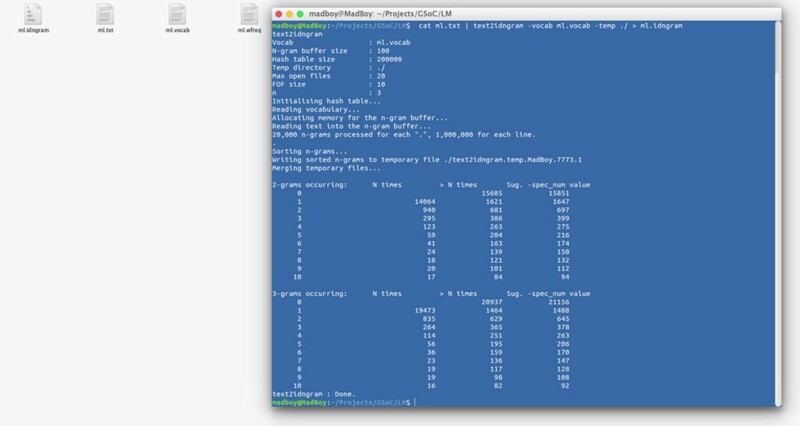 Following the similar pattern of how the modules are being incorporated in the cmake app, we tried to incorporate the varnam module. The code for the attempt is given here. Adding a new native module using CMake yields "Error: exception during working with external system:"
After 9 days, there has still not been a single response :( So as an alternative we have decided to use the varnam API. I have completed the class for the same and is yet to link to the Keyboard input from the Indic Keyboard app. This part is the agenda for the next week. Now we are on a different route of compiling varnam during runtime. For this we are following the cmake example given here. Another thing to note that is, cmake requires canary Android Studio which can be downloaded here. It all started off well when it was seen that OSX has a problem running that. Now I am getting it all setup on Linux as well as Windows( just in case :P ) Sorry in not writing any technical details, will make it up in the next week. Ooh boy, half way through GSoC and lot to be done. Finally we decided to do the entire project in Android Studio so that the later integration with Indic Keyboard would be easier. As said in the last post, I was in a state of completing the wrappers of varnam_init() and rest of the functions when a queue of challenges popped up. I have currently written wrappers for most of the required methods, but have to resolve these errors to get the testing going smoothly. I will upload a list of references I have gone through(there a tons of em) in the next post so that anyone working in this topic may find it useful. ‘He’ just recognized what I said! Well, the title says it all. The computer just recognized what I said in my Mother Tongue! A major step in the right the direction. For this to happen, I had to complete the Acoustic Model training. So then! Well it is a set of statistical representational parameters used to learn the language by representing the relation between audio signal and corresponding linguistic features that make up that speech or audio ( phoneme, and transcription! ). To produce these we need to set up a database structure as documented by the CMU SphinxTrain team. Some of these files were common to the Language Model preparation like the phoneme transcription file. After setting up the database it should look like this irrespective of the language! I had to solve two issues ( 1 and 2 ) before I could run the training without any hiccups! It took a day to make the patch works in the files. The documentation didn’t mention that the phone set should contain a maximum of 255 phones due to practical limitation though theoretically it had no problems ( found out myself from the CMU help forums. ). That was the Issue : Reduce phoneset to a max of 255 #31. I successfully reduced to what is found in the current repository version. Acoustic Model is ready for testing! 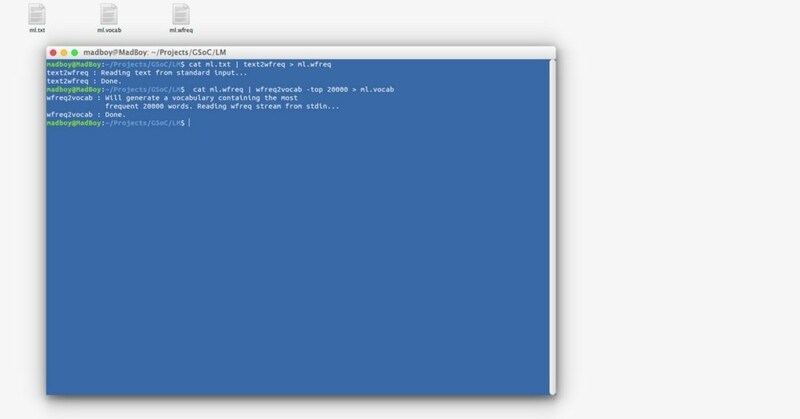 This command will setup the ‘etc’ and ‘wav’ folder as mentioned above. Now we need to setup the sphinx_train.cfg config file which is excellently documented by the team. Once that is out of the way, run the training. Finally its done! Took quite a lot of time! Not only that, my Zenbook finally started showing heating and fan noise. That sixth gen Intel needed some extra air! ( ** nice! ** ). Well, this means, the GSoC 2016 aim have been achieved which was to develop the Language Model and Acoustic Model. Only thing left is to keep testing it. The discussion with Deepa mam helped in bringing out a possibility in improving the accuracy which am working on as a branch in parallel to the testing. 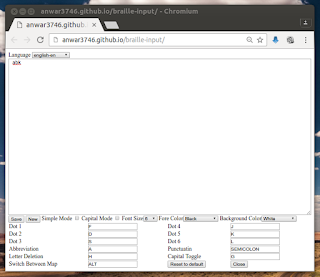 This week I forked IBus-Braille project from SMC GitLab repository added two things. 1 Eight-Dot braille enabled. Now one can add languages with 8 dot's. The default keys are Z for dot 7 and period for dot-8. This can be remapped using preferences. My next task was to show instead of all layouts, filter them on the basis of language. My first option I decided to do filtering based on locale. SoÂ instead of ACTION_INPUT_METHOD_SUBTYPE_SETTINGS we can use ACTION_LOCALE_SETTINGS but the problem here was that it was giving a list of all the locales in the system instead of the locales in our app. So I skipped this idea. 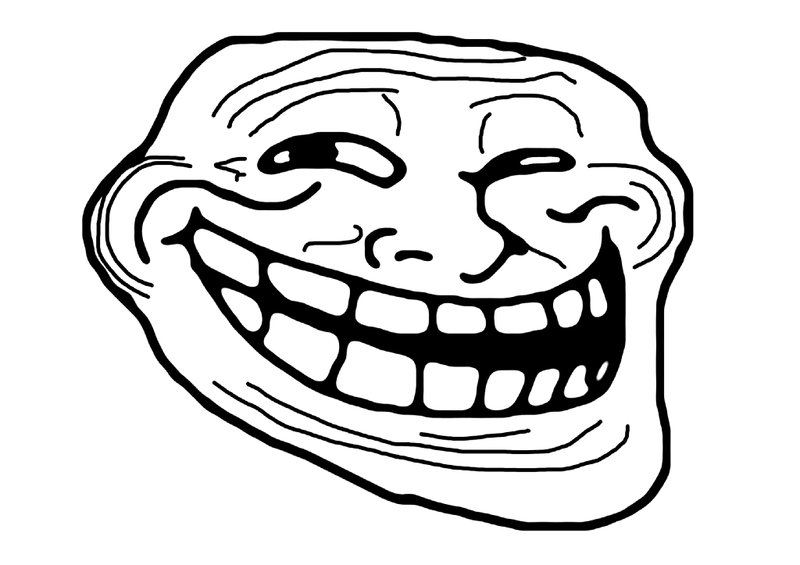 And then decided to create a list and enable users selection on that. But there was no way to connect that to enabled system subtypes. I was stuck on this for quite some time .We ditched the plan and moved on to the “Theme selection” task. I am currently working on the Theme Selection task . I have successfully added the step . But now I am working on adding the fragment instead of the whole activity . After I am done with this, I will move to adding the images of the themes. I will hopefully complete this task by the weekend. Also , after a meeting with the mentor, it is decided that after this task I will work on merging AOSP source code to the keyboard as the current keyboard doesn’t have changes that wereÂ released along with Â android M code drop because of which target sdk is not 23 . So my next task will be merging AOSP code which will give the benifit of run time permissions. Finally, I can start the work towards Milestone — 2, which is completing the development of Language Model for Malayalam. Time to completely switch to Ubuntu from here on. Why? What is a Statistical Language Model? Statistical language models describe more complex language, which in our case is Malayalam. They contain probabilities of the words and word combinations. Those probabilities are estimated from a sample data ( the sentence file ) and automatically have some flexibility. This means, every combination from the vocabulary is possible, though probability of such combination might vary. Let’s say if you create statistical language model from a list of words , which is what I did for my Major Project work, it will still allow to decode word combinations ( phrases or sentences for that matter. ) though it might not be our intent. Overall, statistical language models are recommended for free-form input where user could say anything in a natural language and they require way less engineering effort than grammars, you just list the possible sentences using the words from the vocabulary. Suppose we have these two sentences “ ഞാനും അവനും ഭക്ഷണം കഴിച്ചു ” and “ ചേട്ടൻ ഭക്ഷണം കഴിച്ചില്ലേ ”. If we use the statistical language model of this set of sentences, then it is possible to derive more sentences from the words( vocabulary ). That is, we can have sentences like “ ഞാനും കഴിച്ചു ഭക്ഷണം ” or maybe “ഭക്ഷണം കഴിച്ചില്ലേ ”, or “ അവനും കഴിച്ചില്ലേ ” and so on. It’s like the Transitive Property of Equality but in a more complex manner. Here it's related to probability of occurrence of a given word after a word. Now this is calculated using the sample data that we provide as the database. Now, you might be wondering what the numbers inside the parenthesis mean. Those are nothing but the number of occurrences of each word in the given complete set of sentences. This is calculated by the set of C libraries provided by a toolkit that I will introduce shortly. Let’s start building. If you remember from my previous blog post/articles, you can recollect me writing about extracting words and then transcribing those to phonetic representation. Those words are nothing but the vocabulary that I just showed. For building a language model of such a large scale vocabulary, you will need to use specialized tools or algorithms. One such set of algorithms are provided as C Libraries by the name “CMU-Cambridge Statistical Language Modeling Toolkit” or in short CMU-CLMTK. You can head over to their official page to know more about it. I have already installed it. So we are ready to go. Next we need the .wfreq to .vocab file without the numbers and stuff. Just the words. Oops, there are some issues with the generated vocab file regarding repetitions and additional words here and there which are not required. This might have happened while I was filtering the sentences file but forgot to update or skipped updating the transcription file. Some delay in further process. It's already late night! I need to sleep! With this guy, its easy to compare everything and make changes simultaneously. It should be done by today! Okay, now that the issue have been handled, we are getting somewhere. It should be pretty much straight forward now. Next we need find list of every id n-gram which occurred in the text, along with its number of occurrences. i.e. Generate a binary id 3-gram of the training text ( ml.txt ), based on this vocabulary ( ml.vocab ). By default, the id n-gram file is written out as binary file, unless the -write_ascii switch is used in the command. -temp ./ switch can be used if youwant to run the command without root permission and use the current working directory as the temp folder. 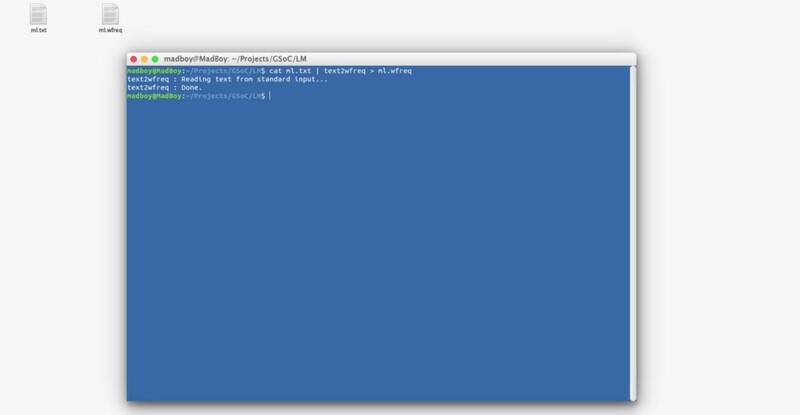 Or you can just run it as root, without any use, which by default will use /usr/tmp as temp folder. Finally, we can generate the Language Model. This can either be an ARPA model or a Binary. Even though ARPA is available, using the binary format of the language model is recommended for faster operations. Here is the basic work-flow. as provided by the Toolkit Documentation. That’s it. The Language Model is complete. I can now go ahead into next step, that is building and training the Acoustic Model. Last Saturday, that is 16th July, I attendeda a meeting regarding the upcoming Kerala State IT Policy. It was a stakeholder consultation organized by DAKF, Software Freedom Law Centre and Ernakulam Public Library Infopark branch. The program was presided by Prasanth Sugathan of SFLC (I had met him during Swatanthra, when I helped Praveen in the Privacy track) and was inaugurated by M. P Sukumaran Nair, advisor to the Minister of Industries. The agenda of the meeting was to discuss about the suggestions that needs to be submitted to the Government before they draft the official IT policy, that will be in effect for the next few years. I attended the meeting representing Swathanthra Malayalam Computing. Even though the meeting had a small audience, some of the key topics were brought into the mix. Professor Jyothi John, retired principal of Model Engg. College, discussed about MOOCs to improve the education standard of the State. He also talked about improving the industry-academia-research relationship that is in a pathetic state as of now. I was asked to talk a few words. But, since SMC hadnâ€™t taken any official stand or points for the meeting, I actually talked about my views about the issue. Obviously, my topics were more focused on Language Computing, Digital empowerment of the language and as well as how FOSS should be the key stone of the IT policy. I also mentioned about the E-Waste problem that Anivar had discussed the other day on the Whatsapp group. Mr. Joseph Thomas, the president of FSMI also talked on the importance of FOSS in IT policy (Kiran Thomas had some pretty strong disagreements with it. :D ). Following that, Babu Dominic from BSNL talked about their success stories with FOSS and how the project was scraped by government. There were some brilliant insights from Satheesh, who is a Social Entrepreneur now and once ran an IT-based company. Following that, the meeting took the form of a round table discussion where interesting points regarding E-Waste and the money-saving nature of FOSS (Microsoft has been targetting Institutions for pirated copies, not home users) were raised by Mr. Bijumon, Asst Professor of Model Engg College. Mr. Jayasreekumar, who is a journalist talked about the important issue of the downtrodden people, or the people in the lower socio-economic belt were not part of the discussion and the image of digital divide that carves. We have to seriously increase diversity of participants in these meetings, as a large part of the population has no representation in them. Such meetings will be only fruitful, if the sidelined communities who also should benefit from this policy are brought together to participate in them. The general theme of the meeting was pointing towards how the IT policy should focus more on the internal market, and how it should be helpful in entrepreneurs in competing with foreign competitors, atleast in the domestic market. More and more meetings of this nature are a must, if the state is to advance in the domain of IT. Last two weeks were seeing less coding and more polishing. I was fixing the LibIndic modules to utilize the concept of namespace packages (PEP 420) to obtain the libindic.module structure. In the stemmer module, I introduced the namespace package concept and it worked well. I also made the inflector a part of stemmer itself. Since inflector's functionality was heavily dependent on the output of the stemmer, it made more sense to make inflector a part of stemmer itself, rather than an individual package. Also, I made the inflector language-agnostic so that it will accept a language parameters as input during initialization and select the appropriate rules file. In spellchecker also, I implemented the namespace concept and removed the bundled packages of stemmer and inflector. Other modifications were needed to make the tests run with this namespace concept, fixing coverage to pick the change etc. In the coding side, I added weights to the three metrics so as to generate suggestions more efficiently. I am thinking about formulating an algorithm to make comparison of suggestions and root words more efficient. Also, I may try handling spelling mistakes in the suffixes. This week, I met with Hrishi and discussed about the project. He is yet to go through the algorithm and comment on that. However he made a suggestion to split out the languages to each file and make init.py more clean (just importing these split language files). He was ok with the work so far, as he tried out the web version of the stemmer. I have always loved the idea of Open Source and have been fortunate enough to be participating in one of the world’s best platform for a student to develop, grow, and learn. Google Summer of Code 2016 have gone past it’s mid-term evaluation, and so have I. The last couple of weeks have been in a slow pace compared to the weeks in June. This is simply because, I was ahead of my schedule while in the Mid-term evaluation period , also I didn’t want to rush things up and screw it up. But, I thought this is the right time to mention the contributions that have been taking place towards this Open Source Project. Gathering recordings or speech data for training would mean that a lot of people have to individually record their part, and then send it to me. Now this might seem simple enough to some of you out there, but believe me, recording 250 lines or sentences in Malayalam with all its care is not going to be that interesting. Nonetheless, pull requests have been piling up on my Repository since the early days of the project. The contribution has been really awesome. And he did all this without making much of a mistake or even complaining about the steps I instructed him to follow. He was so careful that he decided to save after I confirm each and every sentence as he records them. (** giggles **). For those who are interested in knowing what he contributed, take a look at this commit and this. Oh and by the way, he is just 11 years old :) . To not mention other friends along with this, would be unfair. So here is a big shout out to all 18 other guys and gals without whom this would not have reached this far. I know this blog post was not much about the project when looking in one aspect but, when you look it in another point of view, this is one of the most important part of my GSoC work. With the final evaluation, coming up in 4.5 weeks or so, it is time to start wrapping up my work and put up a final submission in a manner that someone with same enthusiasm or even better can take up this and continue to work on it to better it. I guess that’s it for this week’s update. More to follow as I near the completion of this awesome experience. The week started with continuing the task for detection of supported locales. I was facing some problems initially. I was trying to first change the contents of a static file during runtime which I later realised couldn’t be done. So as directed by mentor I changed the approach and decided to prompt the user at the setup time about which languages might not be supported by the phone. 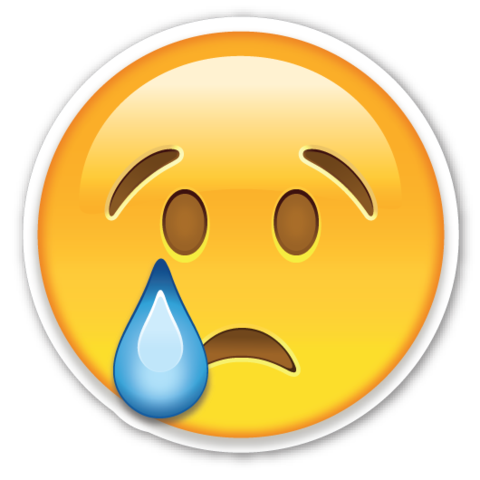 Unfortunately my system crashed and the later part of my time was given to formatting the laptop,taking backup, installing the OS and re-setup of the project. Then I went home for my parents wedding anniversary for 3 days. My next task : Improving the setup wizard . Since the user might not be interested in all the languages , so instead of showing all the layouts at once , we are planning to first ask the user to chose the language and then the corresponding layout in it. I have to discuss more with Jishnu regarding this task. Key reassigning can be done by clicking "Configure Keys" button which will popup many entry's where user can remap his keys. Restore option is also provided there. Last two weeks were spent mostly in getting basic spellchecker module to work. In the first week, I tried to polish the stemmer module by organizing tags for different inflections in an unambiguous way. These tags were to be used in spellchecker module to recreate the inflected forms of the suggestions. For this purpose, an inflector module was added. It takes the output of stemmer module and reverses its operations. Apart from that, I spent time in testing out the stemmer module and made many tiny modifications like converting everything to a sinlge encoding, using Unicode always, and above all changed the library name to an unambiguous one - libindic-stemmer (The old name was stemmer which was way too general). In the second week, I forked out the spellchecker module, convert the directory structure to match the one I've been using for other modules and added basic building-testing-integration setup with pbr-testtools-Travis combination. Also, I implemented the basic spell checking and suggestion generation system. Like stemmer, marisa_trie was used to store the corpus. Three metrics were used to generate suggestions - Soundex similarity, Levenshtein Distance and Jaccard's Index. With that, I got my MVP (Minimum Viable Product) up and running. So, as of now, spell checking and suggestion generation works. But, it needs more tweaking to increase efficiency. Also, I need to formulate another comparison algorithm, one tailored for Indic languages and spell checking. On a side note, I also touched indicngram module, ported it to support Python3 and reformatted it to match the proposed directory that I have been using for other modules. A PR has been created and am waiting for someone to accept it. Hours of data piling up! Howdy everyone, well its exactly mid way to Google Summer of Code 2016, and everything have been going as per the schedule and plan, as I type this looking at the matte screen of the Asus Zenbook that just arrived. No more of criticizing of the Electricity and rain which I have been doing in my previous posts ( **giggle** ) but the internet connectivity still haunts me. The week started off with spending a day setting up the new Zenbook with dual boot, installing dependencies on Ubuntu (sudo apt-get install blah-blah ), setting up git and repo, and on the other hand hoping that Windows will finish updating… … …one day… …! Ultimately, I decided to turn every automatic things off ( **duh** ) so that I can squeeze some speed out of my Broadband connection ( -___- ). Anyways, the completion of transcribing the dictionary to its phonetic representation means I can now concentrate on collecting the training voices from all the contributors. Almost 12 of the speakers have completed their quota of sentences and around 8 speakers are remaining. Once this is completed, I can actually begin the reorganizing of database and then start the training using that database. In the meantime, there other files to setup. 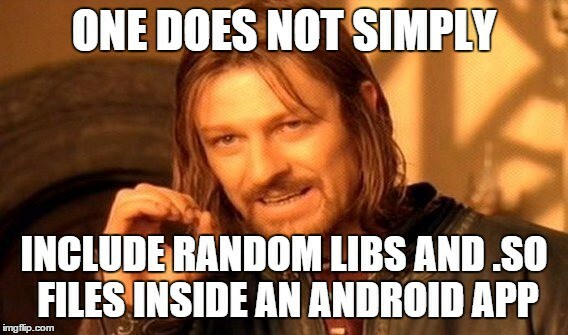 Like, the file containing the ‘phones’ alone ( ml.PHONE ), the file that contains the relative path to the audio files in the wav directory ( ml.FILEIDS ), “wav/speaker1/file_1.wav” , the filler file that contains phonetic representation of sounds and disturbances for a more accurate recognition ( ml.FILLER ). Talking about making the ml.FILEIDS file, mapping 4993 sentences from 15+ folders with each one having exactly 250 wav files is not going to be easy. But then there is a catch, notepad++ is there to rescue. Column edit mode ( Alt + Shift + up/down ) and Column replace with increment decimal options are available which will save time writing down each file name. So, that’s how the week have panned out and hoping to continue this good run of form ( * That’s the football side of me typing. Euro 2016 commentary style * ). Are you referring to the bash command used in the experiment I described or about the ruby scripts from my previous posts. I used the scripts to extract the sentences and words from subtitle file. The same script proved useful in many related situations during the course. I am given the task to detect whether a language is supported by the keyboard or not. In my phone Punjabi is not supported so I did all the testing with that. Whenever a language is not supported it is displayed as blank so that gave me an idea on how I will work on this issue. So I created the bitmap for all the characters of the language and compared it with an empty bitmap. So If the language was not supported it had empty bitmap and I declared it as not supported. I have to improve on : Currently it is checking every time when the keyboard is opening. So I will do it such that it checks for all languages during the setup wizard and stores the info. My task for next week is checking in setup wizard for all languages and in the list displaying the languages which cannot be supported as not supportable so that the user can know. I spent the last two weeks mainly testing out the stemmer module and the defined rules. During that I found out there are many issues for a rule based model because different types of inflections to different parts of speech can yield same inflected form. This can be solved only by machine learning algorithm that incorporates a morphological analyzer and is hence out of scope of my proposal. So I decided to move forward with the stemmer. I tried to incorporate handling of inflections of verb - like tense change - using rules and was able to do a subset of them. Rest of the forms need more careful analysis and I've decided to get the system working first and then optimize it. I've also decided to tag the rules so that a history of stemming can be preserved. The stemmer will now generate the stem as well as the tags of rules applied. This metadata can be useful to handle the problem of same letter being inflected to different forms that I faced while developing VibhakthiGenerator. I spent some time in cleaning up the code more and setting up some local testing setup like a CLI and Web interface. The PR was accepted by Vasudev and the changes are currently a part of the indicstemmer codebase. BTW, it is time for the Midterm evaluations of GSoC 2016, where the mentors evaluate the progress of the students and give a pass/fail grade to them. Also, the students get to evaluate the mentors, communication with them and their inputs. I have already completed this and am waiting for my mentor to finish it. Hopefully, everything will go well. We look far ahead and calls it ‘future’ but fails to realize the coming step is closest milestone for future. Ok so the week have been very interesting. As usual I started off doing the same thing that I have been doing for the past 3 weeks which is transcribing the Malayalam words to phonetic representation. I kept saying that this thing is getting boring day by day for myself. With the mid term evaluation starting from Monday of next week I had to complete the phonetic transcription by Saturday or Sunday. This seems very unlikely given the pace that I am continuing with. To keep me busy and not bored of Google summer of code ( even though I wanted this ) I thought of learning a new language which would be useful for the coming future. The Rust language. It seemed to take my mind off for a little time but it was not of much as help as I thought. In the meantime recording of sound or speech was going on among my friends and there has been some updates regarding that. I have completed recording 115 sentences in the midst of the transcription dilemma. Ok I think I have an idea. I have to wait and see if this will work or not within a day. Well today something really helpful and timely stuff happened. I have been working on an Android app to run the model. Unfortunately it was always crashing until today when I fixed it finally. The bug was really, really really small. In fact it was embarrassing when I found out what the bug was. I had to use capitalised letter (** duh, are you serious! **) while specifying a search name tag. Now how come I missed that! The model that I developed for my major project was running absolutely fine in the app. In fact it so happens that it have better accuracy than it did on my PC. Ok I was not joking. Well the idea would have been more beneficial if I had this in mind at the starting of phonetic transcription but like anybody else' my brain won’t work when I need it. Anyways the idea was to use find and replace option of Notepad++ to batch edit all the words but there is a catch that if I am to edit the words then I must save about 3 to 4 days. Keeping in mind that if this experiment goes in vain then I am going to need more days than I actually need if I was to follow the steps that I used up until now. I decided to try the experiment anyways because if I succeed in it then I am going to save more days than I am going to lose if I do not. And probably couple of days before my schedule. I think I make some sense!?! So here is a brief of what I actually typed in my so called experiment. The b.txt and a.txt files initially contain raw malayalam words that needs to be represented phonetically. In the alphabetic order, I find each character or sound ( eg. കാലം, കാപ്പി, കാറ്റ് after finding കാ and replacing it with KA will look as KA ലം, KA പ്പി, KA റ്റ് and so on) and replace all with the phonetic representation inside the b.txt file. This will save a lot of time rather editing each word line by line which I was doing till now. Once all the replacing is done, file will only have English characters (phones) ( eg. KA L1AM, KA PPI, KA T ). But this is not what the file should be like. The file should be like കാലം KA L1AM, കാപ്പി KA PPI, കാറ്റ് KA T and so on. I started with making the designs of the layouts. The task was to make Santali Olchiki and Soni layouts for the keyboard. I looked at the code of the other layouts to get a basic understanding of how they were working. It took some time to understand how the transliteration codes were working.I did changes in the ime submodule for the layout. I messed up with the locale names and fixed that later. The changes were merged! 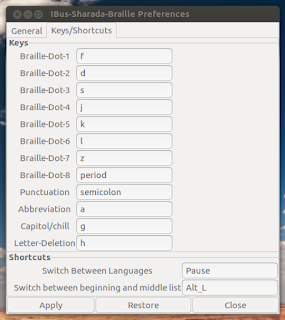 Then I updated the submodule on the Indic keyboard branch . Previously I made the inscript layout of Santali Olchiki but after discussion with the mentor, it was decided to work on the phonetic layout as it can fit in smaller layout and thus easier to type too. I made the design of the keyboard and wrote the code for it and tested on the device. It is coming out fine too. After that I explored various keyboard apps to see their setup wizards. 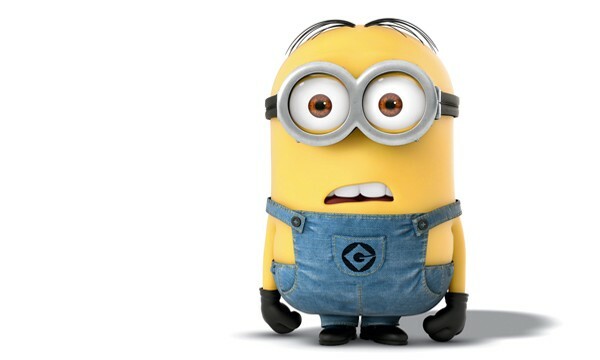 My task for the next week is to detect whether a language is supported by the system or not. I am planning to do it by checking if a character is typed it gives empty results or not. I will look for other ways too. I will update about the progress in the next blog. Am working with CMU Sphinx toolkit that has recognizer libraries written in C. I am focussing on adding Language model and Acoustic model for Malayalam Language. CMUSphinx already have support for famous languages with pretty good accuracy results. javah Help - "No classes were specified on the command line"
Finally after a few resolution of machine dependency and reinstallation I got it finally running :) I am now finishing varnam_init and will move on to the whole libvarnam in the coming week. 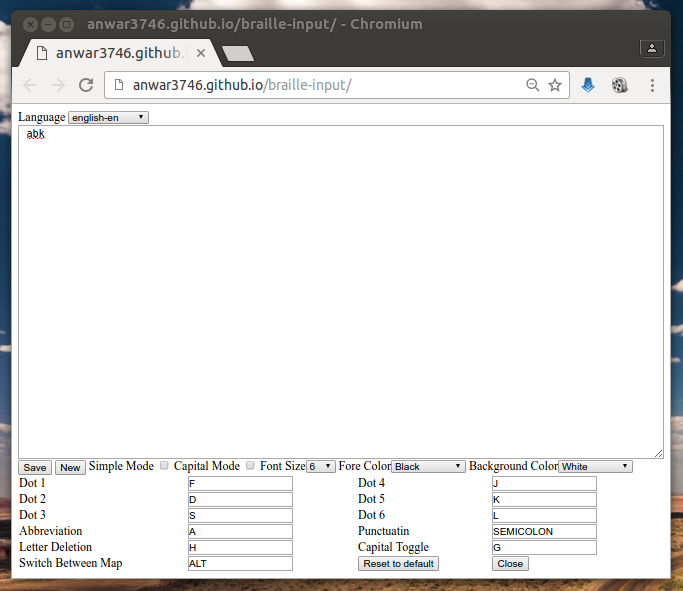 As three weeks passed, After developing basic Chrome and Firefox extensions we moved to development of webpage braille-input where one can type in six key way. For achieving this we have gone through a lot of things such as Ajax, jQuery, JSON, Apache web server, etc.. The most major referred links are given at the end of this post. even my mentor also new to web based developments he always suggest me to keep it more ideal as possible. Even the concept of Map switching bitween the begining, middle and contraction list was bit difficult to understand later I realize that's the way it should be. Finaly when we requesting for a space to host the web page one of another mentor from my organization Akshay S Dinesh gave us a hint about facility in Github itself to host. So we done it with a simple effort even we faced jQery download problem and Contraction file listing. Now we have to implement Abbreviations, Simple-Mode, Open, New , Save, Option to change font, font size, Background and Foreground Color etc.. as done in Sharada-Braille-Writer.